In a hyper-connected world, the network needs of vehicle fleets are just as robust as in retail stores — with the added challenge of always being on the move. Regardless of the industry, mission-critical applications are constantly emerging, and always-on connectivity is the only way to take full advantage. Distributed rolling enterprises that remain in the first generation of in-vehicle connectivity are struggling with constantly dropped connections, lack of space for equipment, frustrating pricing structures, and huge staff commitments for deployments and manual firmware upgrades. The next generation of in-vehicle connectivity embraces 4G LTE solutions that are ruggedized, cost-efficient, highly secure, and can be monitored and managed remotely from the cloud. 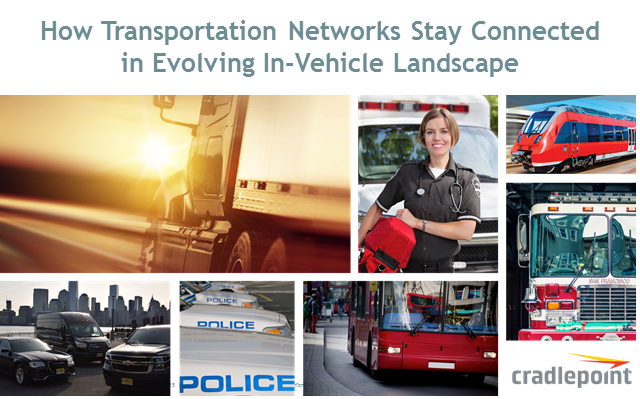 The future of fleet networks are platforms that accommodate present day applications while possessing the flexibility and scalability to swiftly respond to fleet growth and ever-changing in-vehicle network needs.